Does homeownership strengthen or loosen the marriage knot? 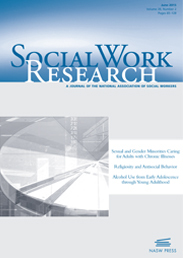 Social Work Research publishes exemplary research to advance the development of knowledge and inform social work practice. Widely regarded as the outstanding journal in the field, it includes analytic reviews of research, theoretical articles pertaining to social work research, evaluation studies, and diverse research studies that contribute to knowledge about social work issues and problems. Picture a snapshot of the American Dream. Chances are, this calls to mind a house and a family. Perhaps the most enduring institutions in American society, homeownership and marriage, have shaped the economic fortunes of families in the United States since the country’s origin. So what is the relationship between the two? New research suggests that homeownership, as compared to renting, may significantly affect decisions to marry and divorce. Are single homeowners less likely to marry than single renters? 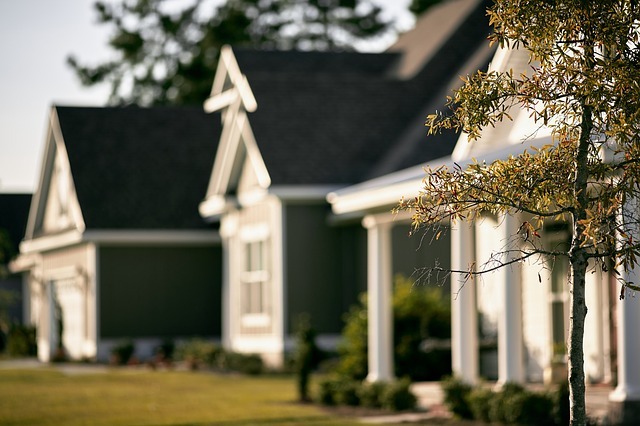 What role does homeownership play in strengthening marriage and reducing the risk of divorce? In a study recently published in Social Work Research, we sought to investigate these questions for a sample of low- to moderate-income (LMI) households, a population that researchers have not previously studied with these questions. Exploring the relationship between homeownership and marriage among this population is important, as evidence suggests that both marriage and homeownership confer social and economic benefits. Policymakers continue to show interest in the relationship between marriage and homeownership through efforts such as the Healthy Marriage Initiative and consistently promote each as poverty-reduction strategies, even as the housing market and social landscape have shifted. We hypothesized that (1) single homeowners are more likely to delay marriage than single renters and that (2) married homeowners are more likely to delay or avoid divorce than married renters. In framing our hypothesis, we drew upon Becker’s economic theory of marriage. He asserted that the decision to marry is based on gaining resources and dividing household labor and occurs only if benefits outweigh costs. We also drew upon Edwards’s social exchange theory of marriage. He posited that people choose to marry when it’s mutually beneficial and that partners divorce when the benefits of splitting up outweigh the costs of staying together. Our study sample consisted of LMI homebuyers with mortgages funded through the Community Advantage Program and a comparison group of renters with the same neighborhood and income characteristics. The survey was longitudinal, and we used data collected in five waves between 2004 and 2008. We used propensity score analysis (PSA) to address selection bias, in this case referring to how people who choose to become homeowners may differ from renters in systematic but unobserved ways, and thus potentially bias the statistical analysis. The PSA method enabled us to isolate homeownership’s respective relationships with marriage and divorce. Our findings suggest that homeownership may anchor people, making them reluctant to undertake major life changes such as marriage or divorce: compared with renters, LMI homeowners were more likely to remain in their relationship status, whether they were married or single. Homeownership may protect some married couples from the risk of divorce: compared with married renters, married homeowners were 60% to 69% less likely to divorce. However, for single homeowners, the odds of getting married were 51% to 55% lower than for single renters. These findings affirm that the decisions to marry and divorce may have economic dimensions as well as cultural, emotional, and intellectual ones. The decisions are influenced by an approach that seeks to maximize gain and minimize cost. A home is often the single largest asset for homeowners, particularly for LMI homeowners. Thus, single homeowners have less to gain financially through marriage than do renters, and the potential costs from divorce are greater for married homeowners than for married renters. What about homeownership influences decisions to marry and divorce? Homeownership (1) provides financial value in the form of the home; (2) implies access to other financial resources, such as stable income and investments; and (3) creates social ties such as links to community infrastructure and to social networks. In addition, marriage decisions by single homeowners are likely influenced by whether the potential partner will add value or divide current assets, and divorce decisions by married partners are likely influenced by the possibility that each will lose assets. So what do our results mean for practice and policy? For most people, marriage isn’t simply an economic calculation, so it’s important to contextualize these findings in today’s complex social and cultural landscape. However, our findings suggest that assets, including a home, strongly influence decisions to marry and divorce. Our research also affirms other evidence that marriage and homeownership are often coupled; together, they stimulate family and housing stability. Policymakers would do well to devise initiatives that jointly increase opportunities for marriage and homeownership. Also, the finding that single LMI homeowners are less likely to pursue marriage suggests that practitioners and policymakers should pay attention to approaches that enhance economic and familial stability outside of marriage. Marriage and homeownership will endure in American society and continue to affect both the national economy and the personal economies of American families. Understanding the relationship between marriage and homeownership is key in providing better welfare policies to support disadvantaged families—and in making the American Dream a reality for those families. Michal Grinstein-Weiss is associate professor in the George Warren Brown School of Social Work, and associate director with the Center for Social Development, at Washington University in St. Louis. She is the coauthor of “The Impact of Homeownership on Marriage and Divorce: Evidence from Propensity Score Matching” (Social Work Research, 2014). Twitter @MichalGW. Megan Brewster is assistant to the associate director with the Center for Social Development at Washington University in St. Louis, where she contributes to research dissemination, events, and special projects.